The lights on the Loew's Kings Theater's marquee have been dark for over 35 years since the last showing of Islands in the Stream in 1977. In fact, the entire king-size, 3,200-seat, French-Baroque movie palace is looking quite dim these days, much of its ornate plasterwork worn, damaged, or missing from years of decay and neglect and its terra-cotta facade in need of cleaning. City officials had to string ropes of temporary construction lights through the still grandiose, if a little shabby, lobby, just to make the announcement on Wednesday that Brooklyn's largest indoor theater is coming back to life in a big way thanks to $93.9 million in new investment from public and private sources. Built in 1929, Chicago-based firm Rapp & Rapp's design of Loew's Kings Theater was inspired by the Paris Opera House, its lobby featuring a flowing mahogany and marble staircase even Charles Garnier could admire. Loew's Kings is one of the five decadently ornate "Wonder Theaters" built around New York City, representing the theater-operator's flagship venues and designed in eclectic styles from Cambodian Neo-Classical to Rococo and Atmospheric villa courtyards. (Be sure to check out AN's photos of the theater from our tour in 2011.) It was at the foot of the Kings' grand staircase that Mayor Bloomberg joined other city officials to announce the groundbreaking of the restoration effort, which is expected to return to theater to its original glory and open it to performances by 2014. The city has owned the theater since 1983, when it was seized in lieu of tazxes. 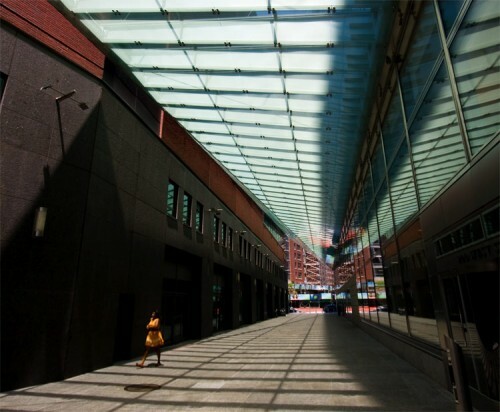 Over the years, the roof has been sealed up and some structural problems fixed—just enough to keep the building mothballed for future restoration. In response to a 2008 RFP, Houston-based ACE Theatrical Group was selected by the NYC Economic Development Corporation to refurbish the theater. ACE has previously restored other historic theaters, including the Boston Opera House and the noteworthy Chicago Theater, also designed by Rapp & Rapp. The company has been working to restore the Kings' interior for several years now, but with a new 55-year lease granted to the Kings Theater Redevelopment Corporation, a consortium including ACE, Goldman Sachs, and the National Development Council, full-scale restoration can begin. Plans call for expanding the facility from 68,000 square feet to 93,000 square feet to accommodate a larger back-stage area for live performances. 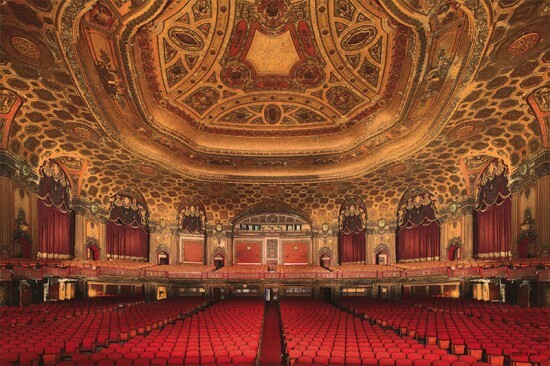 When it opens in 2014, Loew's Kings Theater (1027 Flatbush Avenue) is expected to show 200 to 250 events per year, contributing to an overall resurgence of Flatbush Brooklyn. Goldman Sachs has been much in the news lately for its continued blockbuster bonuses as much of the workforce continues to languish. But the new headquarters for the company designed by Harry Cobb has also made headlines for some time now thanks (or no thanks) to construction accidents. The latest occurred this weekend, when glass panels fell in the middle of the night from the 38th floor onto the West Side Highway, shutting it down for a few hours according to the Post. The Tribeca Trib also reports the accident also shut down a Battery Park City ice rink that was set to open Sunday, delaying the inaugural opening by a day. What's worse, though, is the Trib says construction managers knew about a crack in the panes that precipitated their fall but delayed fixing it. 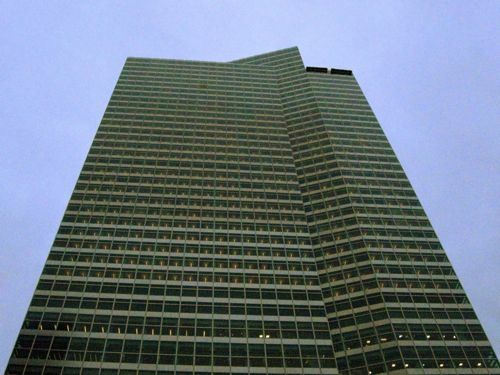 Robert Blackman, Tishman’s executive vice president, said workers had spotted a half-inch-long "hairline" crack in a window on the 38th floor of the $2.4 billion office tower on Nov. 13, but chose to put off replacing the glass until after the external construction hoist on the north face of the building was dismantled. “[The broken glass] was deemed not to be a safety concern to us,” Blackman told a Community Board 1 members Tuesday night, upset over this, the fourth reported incident of falling objects from the site. “I would have been the first to have stopped the job if we thought it posed a risk to this community.” Blackman said “unusually high winds” the morning of Nov. 28 were likely what spread the crack across the upper portion of the 10-by-7-foot window. Around 7:30 that morning, pieces of the window fell off of the building, landing on West Street and on a platform inside the construction site. That's more than two weeks between spotting the damage and the accident. Were this the first problem at the site, that might be understandable, but as has been widely reported with the news of this latest accident, it's not. There was an errant piece of steel that fell onto a neighboring soccer field in the middle of a game, a hammer that hit a cab, and, most tragically, the seven tons worth of girders dropped on a construction trailer that paralyzed the architect trapped inside. What has not been mentioned yet, though, is that falling glass is nothing new for Pei Cobb Freed.